Who Benefits From Following Google’s Guidelines? Some of you may have been hit by Google’s 20 October algorithm change. And some of you wouldn’t have noticed any difference. On 20 October, a number of sites got trashed. Rankings, and traffic, plummeted through the floor. The webmaster forums lit up. Aaron noticed it. I noticed it. Yet, other webmasters wondered what all the fuss was about. Various parts of our algorithms can apply to sites at different times, depending on what our algorithms find. While we initially rolled out this change earlier this year, the web changes, sites change, and with that, our algorithms will continually adapt to the current state on the web, on those sites. While it might be confusing to see these changes at the same time as this issue, they really aren’t related, nor is this a general algorithm change (so if other sites have seen changes recently, it probably doesn’t apply to them as well). Matt’s video, made four months ago, was talking about the algorithmic MayDay change. John Mu adds: “Various parts of our algorithms can apply to sites at different times” In other words, whatever happened in May may not affect your site in May, or June, or July, but might hit you many months later. This implies that your site may trip a threshold, and be judged quite differently than it was the day before. This still doesn’t completely explain why so many sites were hit on the same day, but then Google don’t typically explain things in detail. To complicate matters, there was an acknowledged indexing problem, affecting new content, particularly on blogs. Again, John appears to suggest this was a separate issue. Now, all SEOs are used to algorithm changes. Nothing new. But this one has me genuinely perplexed, mainly because of the type of sites that got hit. Q: So, how many links did you buy? Q: Are you selling links? Q: Linking to “bad neighborhoods”? A: Not that’ I’m aware of…..
Q: Did you link-build in an aggressive manner? A: No. I did no link building, whatsoever. Q: So you just published content? Q: And people linked to your site, of their own accord? A: Yep. I guess they liked it. Q: Was your content heavily SEO’d? A: No. In fact, I gave writers specific instructions not to do anything resembling “SEO copywriting”. It ruins the flow for readers. A: All original. Hand written. No machines involved anywhere. 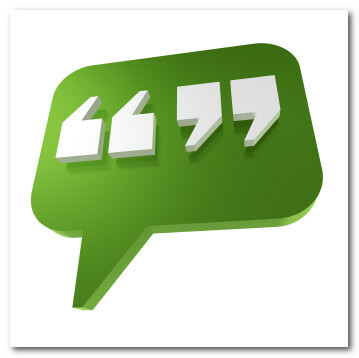 Q: So this site conforms to Google’s Webmaster Guidelines? A: I’d say it lies well within them. “Be useful to end users”, was the guiding principle. Yet it got hit hard. What’s also interesting is the nature of the sites that replaced it. I checked keyword after keyword, and found script driven, aggressive black-hat, content-free sites in top positions. Not in all cases – there are certainly useful sites that deserve to be there, and deserve to appear above mine. Fair play. However, there were plenty of sites of – shall we say – dubious merit- occupying high positions. Now, I believe in publishing useful, unique content, and not paying too much attention to SEO, other than covering the basics. SEO is one strategy amongst many, and sites should, first and foremost, prove useful to people. ….I’ll admit – it grates. Presumably, Google rewards the sites it likes with high rankings, and if we see a lot of aggressive sites filling the top page, should we therefore assume that aggressive sites are what Google actually wants? Perhaps they are just trying to mess with our heads? Or the changes are still bedding in? Or they really do want it this way? I’m still watching, and considering. Perhaps the site will just pop back up in due course. Or perhaps I need to go back to the drawing board. I’ll let you know how I get on. If you’ve noticed something similar on your sites, chime in on the comments. If you’re considering getting some SEO work done, but working to a tight budget, here’s a look at the key issues, and trouble-spots to look out for. If you’re short on time, or SEO skills, or inclination, then you may be looking at getting an eternal supplier to undertake SEO work. Like anything in life, you get what you pay for, and SEO is no exception. There is also a danger you could get a whole lot less, of course. Like any profession, there are many great operators, and many poor ones. Start by writing down the goals you want to achieve. What business problem are you trying to solve? Do you need more conversions? More traffic? Higher rankings? Only one of those requirements is likely to make you any money. Traffic and higher rankings can make you money, but can just as likely make no difference to your business, whatsoever, unless they are tied into your website strategy. For example, you may receive more traffic after engaging an SEO, but if this traffic isn’t interested in what you offer, they will click back. Likewise, you could gain high rankings for keywords that no one searches on. This will result in no traffic increase, and no new business. Devise your own metrics for success. Some SEOs will devise metrics for success that are easy for them to achieve, but make no real difference to your business. If you have an existing site, you may need to make changes to your design and layout. Depending on how your site has been built, these changes may be minor or significant in terms of cost to rectify. Whilst high cost alone will not guarantee you good results, there’s a high probability that low cost will almost guarantee poor results. SEO is labour intensive and requires skill and knowledge. As a rough ballpark, a small site, that doesn’t have design issues, that has had no previous SEO work, could take, at very least, five days of full-time SEO work. This work involves link building, adding keywords and content to the site, and other external promotional activities. Get the SEO to breakdown the work into hours and tasks, and see if the amount charged equates to the work required. If the SEO is pricing significantly under their competitors, there may be a legitimate reason. They may use cheaper labour, often located in emerging economies. This is fine, however make sure any firm you do use has a good knowledge of the country and culture in which you operate. Marketing, SEO or otherwise, requires an intimate knowledge of language use, culture and location, so ask to see previous work, and check references. On the other hand, there are agencies that will charge like a wounded bull for essentially the same tasks as everyone else. Obtain a few quotes and compare, as pricing can be all over the place. The industry is not standardized. Anyone can do SEO. However, that doesn’t mean that everyone should. What does SEO involve? It can involve restructuring a site, coding, content creation, marking up content, market research, strategy, link building, and public relations. Do you have the time, or the inclination to do this? The learning curve, for the beginner, is steep. It’s also time consuming. How much is your time worth? However, there are many aspects you can do yourself. Start with a good, solid SEO course Join forums where other SEOs hang out. Look for content management software that is reasonably SEO friendly, out of the box, such as Wordpress (free). Using SEO friendly software means you’ll avoid a lot of technical problems that can be expensive to rectify if you use software the search engines find difficult to crawl. Search engines like content. Generally speaking, the more pages you publish, the more chances you’ll have to be seen. If appropriate, adopt a strategy similar to that of magazine publishing. Publish often. Once your business case and site content are established, you need to build links. A site without links is pretty much invisible. Here are a few link building strategies. In summary, submit your site to directories, get your partners to link to you, issue press releases featuring links back to your site, put links in your online signature. You can never have too many links, so long as they accurately represent the content is on your site, and they appear in places your audience hangs out. You can go a long way by buying in some help, and doing the rest yourself. Pay for a few hours of consulting where an SEO evaluates your site and your market niche. It’s well worth paying top dollar, for someone good, for this part – as it most likely only takes a few hours. Setting off on the right course can pay high dividends, whilst heading down the wrong path can be difficult, and costly, to recover from. Engage them in an advisory-only role, and ask them to provide you with a strategy. Some SEOs will do this, some won’t. The most important thing is to ensure they establish your site has no technical issues that will prevent it being crawled, and that your content is structured correctly. Once these problems are ironed out, SEO becomes a lot less troublesome. Only you know your skills, but the following areas are reasonably straightforward for those with a little web knowledge. Keyword research is easy enough to do yourself, using readily available keyword tools, as is content generation. Simply write on topic and sprinkle keywords through your content and headings, or have your copywriter do so. You may also wish to undertake link building yourself. This involves requesting links, submitting your site to directories, and building effective partnerships. It can be a good idea to get consultancy as to where you should focus your link building energies. Some links are worth a lot more than others, and there is a strategy to it. Like any complex professional service, you’ll still need to monitor and measure, even if you do opt for expensive, comprehensive outsourced options. There’s no sitting back with marketing, and that includes SEO. Whatever path you choose, make sure the SEO work is aligned with your business goals. Lisa Barone wrote an interesting piece entitled “Are SEOs Responsible For Rankings Or Money?“. At a recent SMX conference, Matt McGee posed the SEO myth “SEO is about rankings”. Lisa was relieved when the panel concluded that SEO was really all about the money. I agree, but then all business activity is ultimately about money. We could say car racing is all about money, but it’s also about engineering. It’s about skill, excitement, and winning the game. So what is SEO these days, anyway? Back when SEO started, SEO wasn’t called SEO. It was probably best described by those who did it as a form of hacking. The first search engines weren’t particularly clever, so it was relatively easy to figure out their sorting algorithms. There was a time when Infoseek’s algorithm was almost entirely based on keyword density and keyword position. Whilst this hacking was still ultimately about money, it was as much a game as anything else. I’m sure many old school SEOs remember those days with a sense of nostalgia. It was more of a pure technical pursuit back then. As search engines got more sophisticated, and more money flowed online, the nature of the game changed. SEO moved beyond technical hacking to an exercise in making connections. In Googles early days, you could buy a few high PR links – or beg for them – and that was enough to get you ranking top ten in most keyword areas. Buy a few more if you really wanted to go hard. Saturate the long tail with auto-gen, just like your competitors were doing, and it was game on. Some may say we haven’t completely left this phase, but the sun is setting on this approach. These days, a more holistic approach is required. The search engines, Google in particular, have become more and more oblique, which means systematic technical approaches are less effective than they once were. This begs the question – what is a client hiring an SEO to do, exactly? BTW: For those who want to read deeper on a history of SEO, check out this excellent Danny Sullivan interview. He knows more than most about the history of SEO. Ever had trouble explaining to people what you do? I’ve worked out a succinct answer that is easy for non-technical people to understand. When people ask me what I do, I tell them “I’m a drug dealer”. It isn’t true, of course, but I just figure it’s easier for people to grasp. If pushed, I’ll launch into a detailed explanation of SEO, internet advertising and web publishing models – an explanation which is universally guaranteed to be met with the response “huh”?. Often, they’ll conclude: “so you rank web sites in Google, then?”. To which my reply is “well, that’s part of it”. As I explain further, I’m still not sure I’m making any headway, so figure it’s time everyone had another drink and talk about something else. The SMX panel is right. SEO is not about just about ranking websites, it’s about so much more. Some SEOs, myself included, use SEO as part of a business strategy, a strategy that is just as much about publishing, domain names, brand building, marketing and traffic acquisition. It involves metrics, tracking, conversions, split/run testing, adwords, adsense, writing, researching, managing and changing the light-bulb in the office when it blows. The commonality is that it is oriented around the search ecosystem. Except for the light-bulb. Some SEOs focus on very specific areas. It is their job to take a site from nowhere in the search engines to achieving desirable rankings. Their job ends there. I suspect such a role is becoming less common as search companies like Google extend their tentacles into every corner of the web, and search consultants invariably follow. Ask ten different SEOs what they do, and you’ll probably get ten different answers. None of which the lay person will likely understand, unfortunately. If you’re starting out in SEO now, I don’t envy your challenge. If you’re reading this, and you’re an SEO veteran, please feel free to add your comments below. What is your advice to those starting out? It helps to understand the big picture first. The reason people engage in SEO is ultimately about making money. 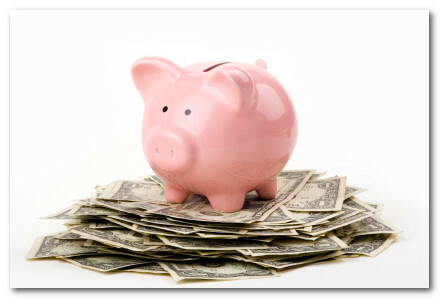 Even a non-profit may make money from SEO by saving money they would have spent on some other marketing channel. They want people to find their web site. They want people to connect with them, rather than their competitors. They want people to do this so they can convert these people to buyers, of their goods, their services, or their ideas. If a site were only to rank – say, on keyword terms no-one searched for, or that weren’t directly applicable to the objectives of the business, then the SEO work is largely useless. It matters not if a site appears in Google’s index. If no one visits via a search in Google, then all that’s happened is the bandwidth costs have increased i.e. Google’s spider visits and digests pages, and the ROI for the SEO spend looks dire. So SEO isn’t about rankings. The rankings must translate to something tangible. In most cases, this means gaining qualified visitor traffic. To get this traffic, a site must do more than rank, a site must appeal to visitors. A visitor who clicks back isn’t really a visitor. To appeal to visitors, the SEO must first understand them. What do they want? What problem do they have? Once the SEO understands visitor intent – and they can do this by getting clues from the search query itself, and testing pages against alternatives – they then direct that visitor around the site in order to turn the visitor into something else i.e. a buyer, a subscriber, a reader. Some might say this goes beyond the job description of an SEO, however whether an SEO works on this part or not, they do need to understand it. If the client doesn’t see a positive benefit from an SEOs work, they are unlikely to keep paying for the services. So, yes, SEO is about money. But it is also about the long process by which money is made. Recently, there have been a series of negative articles about content farms. Content farms, such as Demand Media’s eHow and similar low-cost content publication sites, are now deemed an industry “concern”. “Industry” being the traditional publishing idustry, and concern presumably being “competitive threat”. A trade group called the Internet Content Syndication Council (ICSC) has been circulating a document entitled “Council To Counter Web Content Generators Growing Clout“. They talk about “job threatened journalists” and “diminishing content standards”. Look, see what happens when the proletariat gets their hands on the printing press! The pundits have also weighed in. So many journalists, eh. Looks like an over-supply if you ask me Some of them could learn a thing or two from SEOs. For starters, many seem to be working on the false premise that Google returns “quality” results. Since when has Google ever been about “quality” results? Google’s aim is to return links the searcher finds relevant. “Quality” and relevance may not be the same thing, and thinking in terms of an arbitrary notion such as quality is to misunderstand what Google does. For example, if a searcher, with a below-average level of reading in English wants a quick answer to a question about the common cold, then who’s to say a simple, peer-produced bullet-point explanation is less relevant than a doctoral thesis on the same topic? Everyone benefits when the answer is factually correct, of course, but there’s nothing to say the content mill won’t offer factually accurate content just because the production process is low cost. If geared towards rankings, the content may also offer the facts in a format the user finds more useful. Google is mostly about utility. It’s about providing value to the end user. “Quality” is very much in the eye of the beholder. Let’s also not forget Google argue that Adwords – advertisements – are content, which are also rewarded by a relevance algorithm. I’m guessing the council won’t be arguing that advertisements can be a form of quality content any time soon. And what does quality mean anyway? And who defines it? I think I can guess what the elitists at the ICSC may argue – they know what it is, and they will define it! Nice work if you can get it, I guess. One solution they offer to this perceived “content crisis” is to create a set of public guidelines for internet content, or an accreditation process for syndicated content. Reminds me of the SEO “best practices” debates of years past. The result will be the same, of course – they’ll end up talking to an audience that consists entirely of themselves. Everyone else will be getting on with the job of producing content. What concerns us is that most of these new content syndicators are producing low-quality articles that are link based,” said Tim Duncan, the ICSC’s recently installed executive director. “They are designed to score high on search. That drives down high quality content. Wikipedia, and white hat SEOs, might not agree, of course. Content can both be ranked well and be highly relevant. This is, after all, Google’s aim. Hilarious. I think they mean “any content they think is quality” Perhaps Google can send them a regular cheque each week, too! I suspect money is the true driving force, as opposed to any real concern for editorial standards. Have you seen some of the trash the MSM serves up? At the end of the day, quality standards arguments are pointless. Besides the confused frame of journalistic news vs Q&A-style content, the end user decides the level of quality they will accept and pay for on the internet. The real problem traditional publishing and the mainstream media is facing is that their business model is screwed. Their content production costs are simply too high, and they are being undercut. If they think that people want higher quality, then the answer is simple – produce it and let the visitor decide. And get some good SEO advice, so they don’t inadvertently bury it. In a further twist, Google might be looking to join the content mills at their own game. An interesting patent, “Identifying Inadequate Search Content” identifies keyword areas where there is search demand, but low levels of relevant content. That’s essentially what Demand Media does. Assuming Google don’t/can’t get into publishing for every vertical in existence, Google would do well to make this information publicly available. Ignore mainstream media journalists and whiners who like to form councils. Understand that Google is looking for relevant content. “Relevance” is, in the end, deemed by the searcher. If there are a lot of searches for “pay levels for doctors” and you publish a page that shows “pay levels for doctors”, then you are producing relevant content and Google will reward you. Google are, no doubt, measuring how relevant visitors think the information is, and there are various signals that could be used to determine this. These signals will not come from a council of elitist, self-interested old media. The signals will be based on user activity and user voting patterns. These signals must be scalable i.e. links, visits, timeliness, recommendations, frequency of appearance, re-quoting, etc. Having said all that, a lot of samey, lightweight content won’t survive in the long run, because Google likes to provide variety in their result sets. Look for ways to differentiate your content. Quality is only one – arbitrary – point of differentiation. You’d be better concentrating on aspects such as ease of access, readability, findability, relevance and freshness. Keep the end user firmly in mind. So how does anyone make sense of it? The deluge can be overwhelming for the experienced SEO, let alone the poor beginner. If you are just starting SEO, here are the ten areas you should spend most of your time on when you’re starting up. 2. Before you do any SEO, define your niche. What service does your website provide? Who are your readers/customers? What can you provide that your competitors don’t? How are you going to deliver your services and make a profit? There’s no point ranking well for a business that doesn’t work at a fundamental level. 3. Set business-specific goals and include a time frame. “I want to make x in 12 months”. “I want 20,000 RSS subscribers in 6 months”. It’s important to be specific. It’s difficult to measure goals that aren’t specific i.e. “be popular”. 4. Create interesting content. If you know your audience, you already know what content they will find interesting. If you don’t, revisit #2. 5. Links. You need links Not just the Google-juice, PR-passing kind. Links are the arteries of the web, Traffic travels across links, so all links, crawlable or not, no-followed or otherwise, are valuable. Asking for links from people you don’t know is pretty much a waste of time. It’s a better idea to create fantastic content, then link out to the popular people who can spread the word. They’ll follow their inbound links back to you. Make sure that what they find is remarkable. 6. Do SEO. All that stuff you’re no longer reading in #1? It all boils down to this: put keywords in your title tag, write on-topic content, make sure your site is crawlable, get links to that content, get people to talk about you. Repeat. 7. After a month, look at your keyword referral logs. Take those terms and plug ‘em into keyword research tools. Create a list of 30 keyword terms that your audience would find interesting. Those are your article headings. Write 30 articles. Repeat. 8. Look at your competitors. Your competitors are ranking well for a reason. They’re being mentioned elsewhere for a reason. What are they doing that you’re not? Reverse engineer their sites i.e. who links to them, find out what articles they publish and find out who is talking about them, and why. Emulate them, then go one better. Either that, or stop competing with them directly i.e. define a slightly different niche. 9. Get social. Social media is often over-hyped, but the principles, and numbers behind it, are sound. Getting mentioned is the new link building. It’s about building connections between people. Google has a problem. Using links as a measure of relevant content doesn’t work as well as it used to, so you can be sure Google will be using an ever-more complex set of signals. These signals will involve the connections people make with your site. That’s really what Google wants to know – who is most relevant. Consider the many different ways people can connect with you, and enable those connections. If you’ve followed the ten steps above, you’re 80% of the way there. The final 20% will take a while longer, and that’s where the minutae comes in. Keep in mind that some of the most lucrative SEO information isn’t likely to be published in the public domain. Cultivate personal networks to get this information. This is true of any business endeavor. Most of the information you’ll come across on the topic of SEO is written by, and for, a professional/enthusiast crowd. There is a massive echo chamber of opinion, constantly replenished, produced using publishing tools based on the notion of communicating something, often. It can result in a lot of noise, and not much in the way of signal, especially when you’re learning. If you’re starting out, and want to focus on learning SEO, it’s a good idea to tune the industry chatter out. It’s more likely to confuse than help in the early stages. Search engines aren’t your friend. At best, they tolerate SEO, but only when it aligns with company goals. The search engines have a business to run, and their goals aren’t the same as yours. Whilst search engine reps often come across as helpful and friendly, because they typically are helpful and friendly people, keep in mind that what they are saying serves their company first and foremost. Any advice they give you is, quite rightly, designed to further company goals. Chances are, your goals and the search engines goals will be aligned in many areas, but take their advice with a grain of salt. They don’t care if your site succeeds or not, as there are plenty of other sites to index. The purpose of SEO is to get your site seen in the search engines. Your aim is to attract the visitors that help you achieve your goals. A high ranking for a certain keyword won’t necessarily help you achieve your goals unless your site matches visitor intent. There’s little point ranking well if the content you provide doesn’t make you money and/or gain audience. It’s getting increasingly difficult to rank pages that aren’t closely aligned with the searchers intent. So, the more you understand your audience, and the more content that matches their intent, the more you’ll get out of SEO. This isn’t a sales pitch. There are a number of great courses out there. Choose one or two that suit your budget and objectives, and dive in. Chances are, you will need to shell out some money, but the cost of a decent, well structured course is nothing compared to the wasted effort spent heading in the wrong direction. It’s natural to want the secret sauce – those secret dark techniques that result in number one rankings. Whilst this was characteristic of SEO years ago, it’s less true now. These days, SEO is more a holistic, strategic process aimed at connecting with people, as opposed to a dark, technical art aimed at tricking machines. Don’t listen to me. Well, maybe just a bit. Don’t listen to the repeaters in forums. Test and measure for yourself. It’s one of the best SEO courses you can do. It’s ongoing, and it’s free. Build up your own private knowledge base of SEO in your niche. Your niche may require different strategies to other niches, which is why well-meaning advice in forums and on blogs can hinder you. You’ll also become a better judge of who is offering you good advice, and who is just repeating something they heard. Originally when launching Mahalo, Jason Calacanas claimed that it would be spam free and that SEOs would have hell to pay. He had a multi-month sales pitch leading up to the launch of his site where he kept stating that Squidoo is spam and kept calling SEOs scumbags so he could pull in attention and links. This was well received by SEO conference organizers because people would talk about how outrageous Jason’s speech was online, so (seeking marketing for their conferences) the SEO conference organizers acted like lap dogs standing in line waiting for their turn to have Jason call their paying attendees scumbags. Mahalo’s goal is to improve search results by eliminating search spam from low-quality websites, such as those that have excessive advertising, distribute malware, or engage in phishing scams. Webmasters have a vested interest in seeing their sites listed. Calacanis has said that algorithmic search engines, like Google and Yahoo, suffer from manipulation by search engine optimization practitioners. Mahalo’s reliance on human editors is intended to avoid this problem, producing search results that are more relevant to the user. When people steal/borrow/syndicate content without any editorial value add or original content, and then wrap it in ads that is generally considered spam. We will come back to that topic later, I promise! Instead of a server farm that crawls through the entire known Web so it can automatically match Web pages to the queries you type, Mahalo’s search results are created by humans, in anticipation of the queries its users will type in. How can this possibly work? Because, Calacanis says, the top 10,000 search terms account for 24 percent of all searches. If you can create great results for the top results, users will learn to appreciate the difference between machine search results–which are often thrown off by spam and poor-quality links–and human-powered search pages, lovingly created by caring search editors. For the obscure “long tail” queries that make up the 76 percent of search terms, Mahalo will serve up Google results. Regarding the Mahalo Blog Network: I don’t know how recent that screenshot is, but it’s amusing to see the blogs of several people who have either left the company or were laid off last October, when half the in-house editorial staff (including myself) was purged. When I was working for Mahalo, staff were strongly encouraged to get blogs if we didn’t have them and blog about Mahalo whenever there was a high-traffic opportunity like an awards show, sports or political event. You need to have something useful or original to add to the conversation if you want to compete for the most competitive keywords, and penny pinching outsourced content doesn’t get the job done there. Instead what happened was that they ranked almost instantly for keywords like “best computer speakers” even with low quality scraped content. Everyone just copy Jason Calcanis and Mahaloo, ok? That sounds like a GREAT idea. Jason dissed SEOs in public, at a keynote, on purpose, and then learned a bit so he wasn’t quite so ignorant of SEO any more, and is now working the SERPs as a black hat SEO. Jason dissed affiliates in public, at a keynore, on purpose, and then learned a bit so he’s not as ignorant of affiliate marketing as he was before, and now Mahaoloo has embedded (inline) affiliate links (take a look.. added since Affiliate Summit). I think every “Learn how to Make Money Fast on the Internets” web site should simply point to Mahaoulo and say “copy them.. they are riding the black edge of gray hat SEO” and be done with it. So simple… just copy them. As they add pages, add splogs on those same topics because those are money terms. 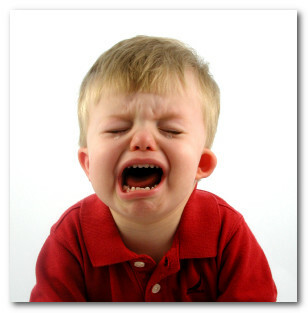 Every time they link to some resource, link to it from that blog. Scan technorati for Jason’s comments, and add one of your own right into that thread.. every time. Let Jason pave the way to profits…. each time he justifies his spam, he’s justified YOUR spam as well. Every time he explains how he’s not a spammer, he’s explaining why YOUR not a spammer either. Best of all, he’s being your spokesperson for FREE! That page (which was automatically generated in under a minute by a fake user robot named searchclick) is already ranking well in Google! How do you know searchclick is a fake user? Well look through all the different pages they created in under a minute over the course of the last year…likely 10,000′s of them. To add further insult to injury, they put nofollow on links back to the content source which they are scraping content from, so while they are “borrowing” your content you are not getting any link credit for it. Some of the top earning pages might have freelancers thicken them out, but the only reason humans are involved at that stage is to legitimize the mass content scraping farm that is the base of the operation. If a company has 200,000+ automated pages with 0 overhead that make 5 cents/day each that is real cashflow – $10,000+ per day of profit! Still not convinced of the profit potential? Mahalo.com has ~ 300,000 pages indexed in Google. On auto-generated pages it is far easier to get people to click an AdSense ad than it is to get them to buy something from Amazon.com (and you profit on 100% of the ad clicks vs only 1% of the Amazon.com clicks that convert). While there are 4 AdSense blocks *above* the Amazon.com affiliate links, Jason did $250,000 on Amazon’s affiliate program last year “without trying” (again, his own stats in his own words…see Flickr.com/photos/jasoncalacanis/4234615626/ ). 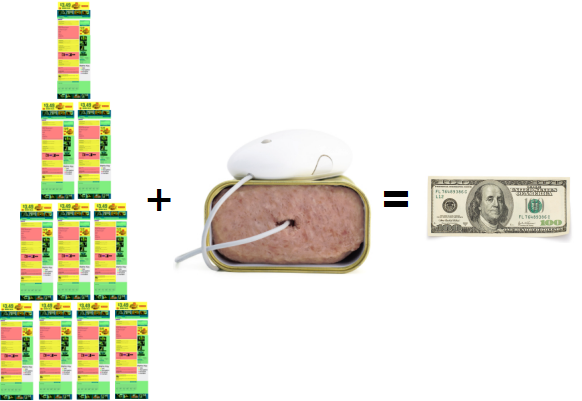 Originally when launching Mahalo, Jason Calacanas claimed that it would be spam free and that SEOs would have hell to pay. 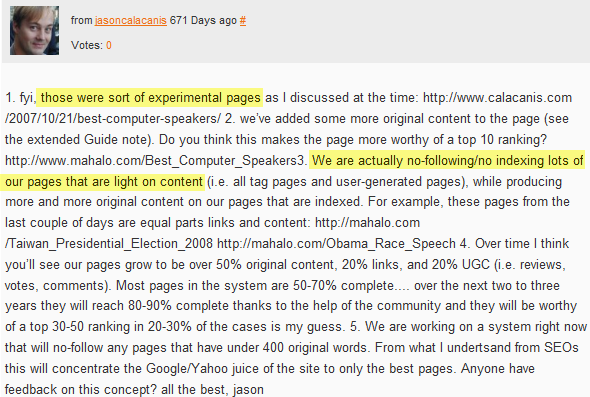 Now that he is scraping your content (and adding nofollow to the links to your content) I think he is right. You are losing out on your search traffic because an authority site is “borrowing” your content and outranking you with your own content. Are the search results going to start filling up with Twitter recycling start ups? What happens when the media gets in on this “what the bloggers have to say” scraping game? Does it even matter who created the content so long as someone wraps it in ads & ranks it? I don’t think we can stop people from being greedy or stealing, but I am surprised Google has turned a blind eye to this process. Is this what they want the web to become? The following is a guest post by Ari Ozick, a member of our SEO Community who frequently shares great insights. The above graph is based on an intensive questionnaire of over 2500 world class SEOs, including freelancers, in-house corporate types and SEO entrepreneurs. In the questionnaire, I asked one simple question – what is the most profitable activity in your business. The results are in, and as the graph clearly shows, Twittering away the day is by far the most profitable activity for most SEOs. Apparently there is more money to be made on twitter then there is in link building and out ranking the competition. Obviously (I hope), I’m lying. I didn’t conduct any survey. I just made up the graph with Smart Draw. In fact, if I had to guess, I imagine the most profitable activities for companies would be conversion optimization, link building, and public relations. Here’s the thing, though: I don’t have to guess about any of these answers for my business. I know. If you’re guessing or following other people’s advice on pretty charts (even if it’s backed up by third party expert opinions), then you’re leaving a lot of money on the table. Let me show you how, with a little change in thinking and how you approach business, you can make a lot more money out of what you do, everyday. To promote the blogger as an SEO expert so he can get more clients. Granted, there are a few exceptions. The bottom line is, however, that most of these blogs are fundamentally aimed at increasing their readership, their clients, and their reputation. That means that the information they offer is less aimed at being fundamentally useful, and more about furthering their goals. It very rarely is about providing concrete, useful tips that will lead to a direct increase in your ROI. Often, someone will come to me and tell me that they’ve stopped writing content, or that they don’t want any reciprocal links, or that they don’t want to be listed on site X. Then I ask them why. Invariably, the answer I get is “I read it on a blog” or “It was on a forum”, or “I saw it on Twitter”. You need to make a business decision based on data, not on what something written somewhere on some forgotten piece of the internet. Different sites will also have different focuses that provide higher ROI. E-Commerce stores may put more focus on optimizing for conversions from existing traffic, while sites like blogs and forums that sell advertising on a CPM or flat rate model will optimize for higher traffic – link baiting and public relations. Niche Adsense publishers and others operating on the longer tail of search will look to create volume quality content and build links in a more focused manner, sending link juice to the pages that need it most. I will share with you the same answer that my employees get. “Do you have any data?” The answer is usually “No”, or they would not have asked the question. I have said it before and will probably say it again, buying data in the form of testing is the best investment you can make in your business. 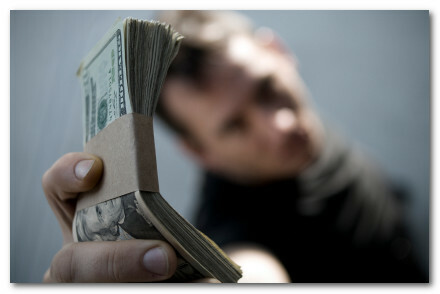 It is not cheap, which is what scares most would be internet marketers away. So Data is what helps make informed decisions. How do you get the data? If you’re doing anything PPC/CPM based, you just need to start running a test campaign and use that data to scale, or alternatively shut down the project before you lose too much money. SEO is a bit different – no two web sites have the same link profile, and minor differences can lead to very different results in terms of how certain types of links and on page changes will effect changes in search results. That being said, it’s best to have a secondary group of sites so you can measure the effectiveness of different link building methods, without endangering your profitable, money making sites. Ideally you also need to have a good idea of the link graph in the verticals you work in, and an idea of what competitors are trying to accomplish. To that end, I highly recommend Majestic SEO and SEM Rush (I’m a happy customer, nothing more). There’s nothing like having fairly accurate data without being at the complete mercy of a search engine. It’s a liberating feeling. Data has taught me that what works for one site doesn’t necessarily work for another site. Strong sites with aged links have consistently performed better when they receive low quality links, while newer sites have languished until they received some better links. In one test, we sent low quality links to an aged authority site in a competitive niche. These are links that are probably not your top priority on your link building list, and certainly not given the time of day on most SEO blogs, yet we saw a definite increase in rankings on competitive terms. In the vertical we had a newer, less linked to site – there was absolutely no movement in either direction for that site. Our testing on authority sites has shown us that you can send almost any type of link and get some benefit, either in rankings boost on a specific keyword or a larger net for long tail keywords. Yet if you tried to rank a new site using the same tactics that clearly work on an old, trusted crusty site, there’s a very good chance the new site would at the very least be filtered, and at the top end of the spectrum be penalized. Of course, defining what is an authority site is another issue – I suggest you go out and test what exactly is an authority site, and reach your own conclusions. You need to be actively running tests and making efforts to build your business and your sites. The only data that you should trust is your own. While it’s good to have an idea of what’s going on in the larger SEO community, what really matters is your rankings. Everything else is, and should remain, secondary. How are your referral stats looking? Noticed more traffic from Bing lately? According to a Nielsen report last month, Bing is growing faster than any other search engine. It was reported Bing had 10.7% of the total search market, up 2% from the month before. Yesterdays report from Hitwise suggests Bing has since dropped to around 8.96 percent. So, somewhere around 8-10% perhaps. Microsoft have struggled for along time to make a dent in Google’s share of the search market, so it looks like they are beginning to make inroads, albeit slowly. Microsoft have done a ton of marketing to promote Bing. They’ve introduced cutting edge features like visual search and voice support. This is not a battle Microsoft can afford to lose, and for search marketers, competition between engines can only be a good thing. Is Your Site Optimized For Bing? The thought of adopting different optimization strategies for different engines feels so antiquated now. Years ago, there used to be a lot of talk about how to optimize for the different engines. Some webmasters would go so far as to serve differently optimized pages to each major engine. In the past few years, SEO has been about all-Google, all the time, so the rule of thumb is to optimize for Google, and the rest pretty much takes care of itself. 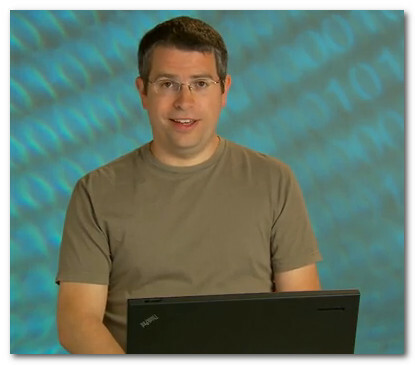 Google has Google Guy (Matt Cutts). Likewise, the Bing search team regularly reaches out to the SEO community. SEOs should bookmark the Bing Webmaster Centre announcements. NB: You need a Live Id to see those links. Microsoft released a comprehensive document for Webmasters. Check out page 23 where they address SEO specifically. Like Google Guy advice, it tends towards the general and is ultimately self serving, but interesting to be aware of, nontheless. The Bing Difference: Why Bother? In terms of search engine results pages, the two engines do produce different results. Here’s a nifty tool for side-by-side comparisons. Why should you be interested in Bing at all? Even though usage is lower, the user demographic for Bing is different to that of Google. Ask search marketers and you’ll get anecdotal evidence that Bing/Yahoo users don’t tend to be as web savvy as Google users, use the web less often, are more likely to click on ads, and are more likely to be involved in online shopping, whilst Google appeals more to researchers, webheads and geeks. 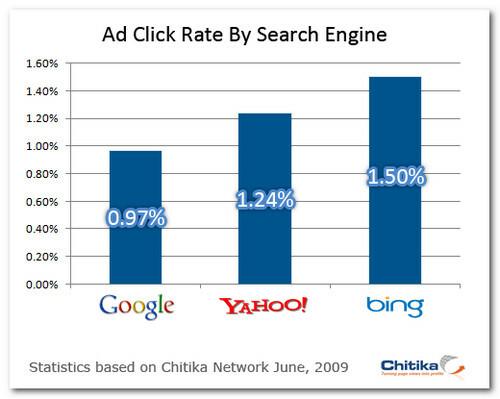 If you’re engaged in web commerce, you need to be thinking about Bing. Because of this new way of thinking about search, some webmasters might initially be concerned that the shortened primary organic listing in the new Bing SERP might render their SEO efforts as less effective. Instead, Bing makes it easier to compete for broad terms because it surfaces more categories automatically, increasing the number of results on the page and generating more relevant content. In reality, the same SEO strategies you use for Google apply to Bing. Make sure your content is unique, use H tags for titles, use alt tags for images, use unique page titles and description meta tags, one topic per page and ensure your copy is free from spelling and gramatical errors. Like Google, you can sign up for MS Webmaster Center which will help you spot and troubleshoot problems. Bing appears to favour linking from pages that share a similar topic area. Is Bing a theme-based engine? Think of a theme as a topic pyramind. A themed site would have the topic “cars at the top. The level beneath that would be makes of cars i.e. Ford, Ferrari, Lotus, then below then models, then components, etc. The theory goes that a site should be all on the same topic to rank well, and links should come from sites on the same topic. Themes used to get discussed a lot, but fell out of fashion when people realised Google didn’t use themes. Is Bing using themes? I don’t think so. Like Google, the algorithms appear to be largely page based, as opposed to site based. Bing looks at the topic of the page linking to you. If the linking page is on a similar topic, the target page receives a boost. Have a play around with the title tag on the linking page. Try to ensure the title tag keyword on the linking page is the same as the keyword you’re targetting on your optimized page. Domain age seems to be an important factor in Bing – the older, the better. Like Google, Bing tries to establish authority, and domain age is one way it does this. Got any tips for optimizing for Bing? Any patterns you’ve noticed, particularly in respect to how Bing differs from Google?